A cheerleader for the arts and humanities, Laurie Shulman studied European History as an undergraduate, subsequently earning an M.A. and Ph.D. from Cornell University in historical musicology. Her gift is weaving together the strands of history, music, and culture that make our world fascinating. Her animated delivery, entertaining explanations, and enthusiasm have made her a popular and frequent public speaker for pre-concert talks, civic organizations, and book clubs. For 30 years, Laurie has furnished program notes for orchestras, chamber music series, solo recitals, and summer festivals throughout the United States and occasionally abroad. She works extensively with living composers. She was born in New York City and grew up in Westchester County. After 30 years in Dallas, she and her husband relocated to Charlottesville, Virginia in 2015. Shulman is an active amateur pianist who enjoys playing chamber music. She comes from a musical family. Her father, the composer and cellist Alan Shulman (1915-2002) was a charter member of the NBC Symphony under Arturo Toscanini and a founding member of the Stuyvesant String Quartet. Her mother, Sophie Pratt Bostelmann Shulman (1916-1982) was a pianist and music educator. Both Shulman’s brothers are professional musicians. Dr. Shulman is the author of The Meyerson Symphony Center (2000), a lively chronicle about Dallas’ celebrated concert hall in its socio-political context. 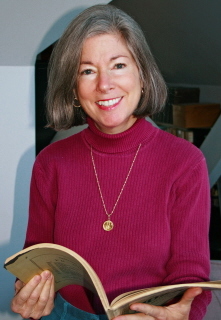 In February 2015 Laurie received the Sigma Alpha Iota Service to Music in Dallas Award, in recognition of her many years of service to the citizens of Dallas through her work in writing the program notes for the Dallas Symphony and other music organizations, and for her book on the Meyerson Symphony Center. In March 2015, the DSO Guild honored Laurie at its annual Gala. In conjunction with the Red Violin Program of the DSO’s Young Strings Organization, members of the Guild have underwritten sponsorship of The Laurie Shulman Cello, which is being made available to a promising freshman minority student for four years. Laurie is a fitness fanatic, which allows her to indulge her passion for cooking, travel, and wine. "I had an absolute ball tonight with you and the Performance Prelude attendees! Thank you so much for your marvelous presentation and arduous pre-show homework that made everything so easy and fun for both the audience and me."